I got the number for Builders GB from my father who had his Loft Converted by them back in 1987. I am a little cautious when it comes to spending a lot of money with a company that is not recommended by somebody I know because of a couple of bad experiences. Builders GB carried out a Double Side Extension and converted my garage into a Office/Study. At the same time I got them to knock through my living room wall to join it up with the dining room. The quality of work was very good and the price was also reasonable. They took around 8 weeks to finish the house and did not leave a mess. They have Architects working for them full time who come on site every other day to check that everything is carried out to a good standard and make sure that all building codes are met. I will be using the services of Builders GB again in the near future as I want them to make a garden house for me. Seeing as I have used their services, I’m sure that I will get a discount. Builders GB is an excellent Building Company. Our new House Extension and Loft Conversion were completed to a an excellent finish. We were kept fully up to date at all times and we saved a few thousand pounds by using the free Decorating, Architecture and Structural Calculations offer. The design process allowed us to make changes until we were satisfied with the layouts, their Architects are very helpful. Builders GB is very popular in our area and are highly recommended London Builders who are well priced, tidy and quick. I run a property developing business based in Putney for the past 17 years. The only company I have ever used is Builders GB. Why? They always do an extremely good job and are very reasonably priced. They are able turn projects around quickly. 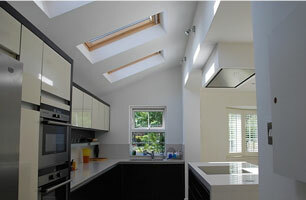 Builders GB have built many Loft Conversions and House Extensions for us over the years. The work is guaranteed for ten years, so some peace of mind. So far I have had no problems at all with them apart from being made to wait for a booking as they do get busy sometimes. They are simply very good London Builders. By far the best priced construction company. 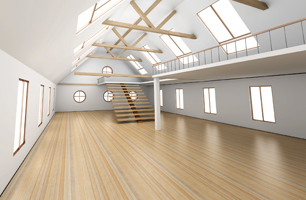 They came in a full 10% below our lowest price quoted for our new Attic Room. They finished the job in under 6 weeks and left our house tidy. They spent the last day on the job cleaning and detailing our new structure. They are busy with a few properties in my area. Highly recommended. A very good company. 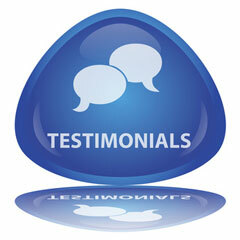 We are extremely happy with the level of service and attention to detail received on our house alterations. They have a large team of professionals who are excellent at their individual trades. The job was finished within the period set and did not go a day over. We’ve built a two bedroom loft room together with a large side return extension. The price was fantastic and the work is finished to a very good standard which makes the house look and feel brand new. Thanks to Builders GB I now have 3 extra bedrooms and 2 more bathrooms. They are very popular in my area and have carried out many conversions in my locality. It’s a fast and friendly company and pretty good value for money. 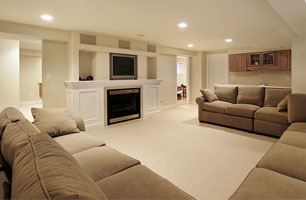 I called them round for an estimate on the work and they provided a good price and included many extras for free. I had a total of five quotations but all the other companies were around a few thousand pounds more in price and they all had hidden costs. Builders GB were very clear about what they had included in the price and they didn’t charge me anything for guaranteeing the work.